Chronic or long-lasting knee pain is an extremely common condition that	affects individuals of all ages, many of whom live in Arizona. Years upon	years of walking on two legs, falling on occasion, playing sports, exercising,	being overweight and engaging in daily activities puts tremendous stress	on these weight-bearing joints, and ultimately results in significant	damage to your knee joint as well as its soft tissues and cartilage. You may have already tried physical therapy, addictive pain medications	without experiencing any relief. And while total knee replacement surgery	is in fact an option, we understand you may not feel comfortable undergoing	such a highly invasive procedure, and it’s possible you may not	even be a possible candidate for this type of surgery. That’s where	LaserTech Pain and Back Relief Center steps in. LaserTech has proudly helped hundreds of patients experiencing chronic	knee pain, even after they’ve had in-depth procedures, such as microsurgery	or total knee replacement surgery, performed. So if you’re a Scottsdale,	Phoenix or surrounding area resident who’s beginning to lose hope	and feels as though nothing can be done to relieve your pain, we’re	here to restore that hope and provide you with long-lasting relief. Severe, persistent knee pain is more often than not due to chronic irritation,	inflammation and damage to the ligaments, tendons and cartilage around	the knee and its joints. While many other pain management facilities in	the area simply numb or mask your pain, we at LaserTech strive to tackle	the root cause of your pain and ultimately increase circulation to the	tissues and other structures surrounding your knee, thereby reducing the	severe inflammation and allowing the knee as a whole to heal. 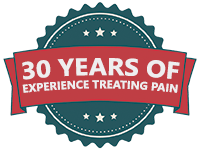 Our highly esteemed professionals will use their years of experience and	knowledge to discover what’s causing your pain. This allows us to	select the tools and technologies that will best stabilize the joints	in your knee and reduce the pressure that’s been placed on your	damaged/worn-down tissues and cartilage, which ultimately enables you	to enjoy a better quality of life without severe, limiting chronic pain. Call	(602) 633-1063	to schedule your free consultation today!